Where do I get my exhibitor badge? How do I get additional furniture and fixtures for my booth? Do I need to order electrical power for 24 hours a day? Can we hand-carry the seafood samples to Qingdao? 7. Where do I get my exhibitor badge? After you order your exhibitor badge online, you will receive a Badge Confirmation email with a confirmation number. Print the email out and bring it to the Overseas Registration Desk in the Main Registration Lobby to pick up your badge. 8. When can I start setting up my booth? Please check back later for booth setup hours for CFSE 2019 . 9. How do I get additional furniture and fixtures for my booth? If you need additional furniture other than what is included with your ready-to-exhibit space package, you can order additional furniture from Beijing Sidex, the official show decorator. Note that if you order furniture at the show there will be a surcharge. 10. Do I need to order electrical power for 24 hours a day? If you rent refrigerated display equipment or a live tank, you must order the 24-hour power supply from Beijing Sidex. 11. How do I ship samples? For sample shipments, please contact Dragon Link, the official freight forwarder for the show. Do not hand-carry or ship samples by couriers such as FEDEX or DHL as your samples may be detained by Chinese Customs. 12. Can we hand-carry the seafood samples to Qingdao? The Hygiene Department at Qingdao Airport will detain any hand-carried seafood samples. 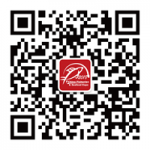 We do not recommend exhibitors hand-carry any seafood samples to Qingdao for exhibition. 13. Are there hotel discounts available? 14. Are there restaurants close by or in the Expo Center? Yes. Several restaurants will have catering outlets set up inside the Expo Center during the show. Nearby hotels such as the Grand Mercure and the Grand Metropark will have luncheon options as well. 15. Where can I find a map of the Expo Center and exhibition halls? 16. Where will the show be next year and what are the dates? The 24th annual China Fisheries & Seafood Expo will return to the Qingdao International Expo Center in 2019. The show will run from October 30th – Nov 1, 2019.